Prev Handprinted Turkey Apron for Thanksgiving Next Elf on the Shelf: Holiday Games or Holiday Lies? 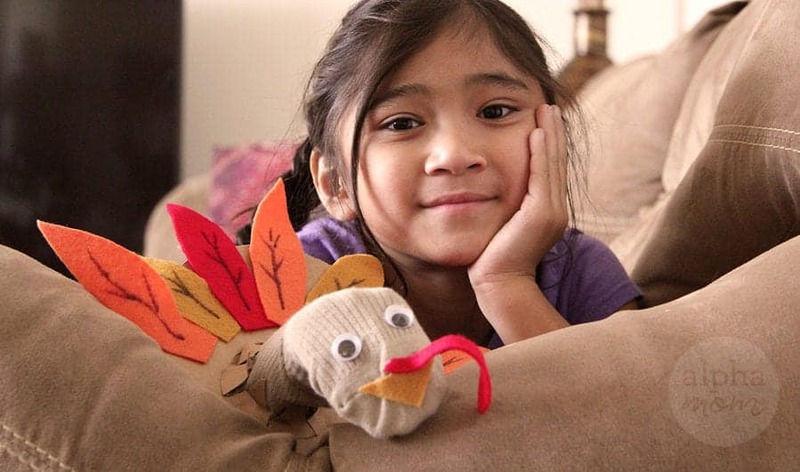 We’ve all made sock puppets but have you ever made a Turkey Sock Puppet? It’s not that hard and it would be a great way to entertain little ones before and during the big Thanksgiving dinner. Just imagine little turkey sock heads peeking around the corner asking if the pizza is ordered yet…. Step 1: First make the turkey’s body from cardboard. You will do this by cutting a round circle about 5 inches big. It doesn’t have to be perfect. Turkey bodies can be wobbly. Then take a cup or something similar to the size or your child’s wrist and draw another circle inside the bigger circle near an edge. See above. Cut out the outer circle. 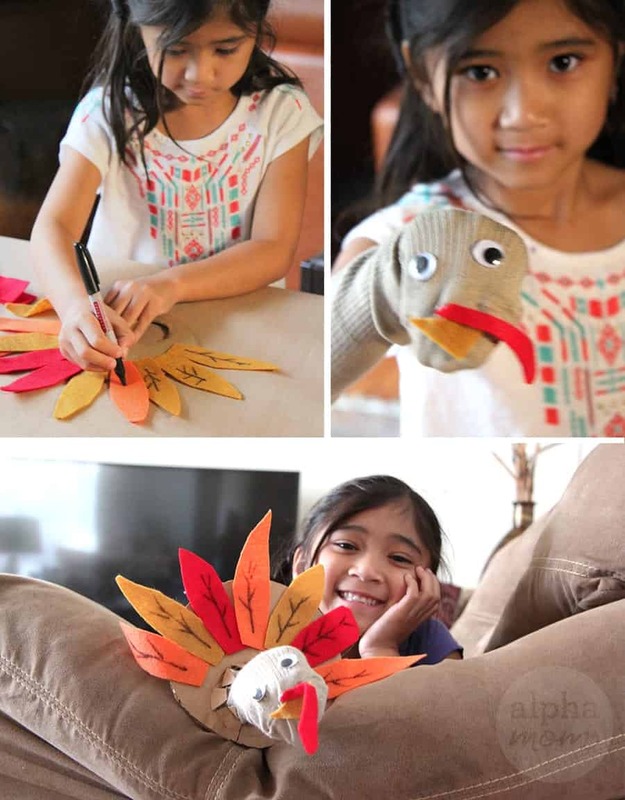 For the inner circle you need to create a “gasket” so that the puppet head (the kid’s hand) can fit through and the turkey body will stay and not swing around your child’s wrist like a bracelet. You can create this gasket by cutting a star shape inside the small drawn circle. Then score (not cutting all the way through) the circle with the backside of your scissors or blade. This will make the gasket flaps open easier without bending or folding the cardboard as a whole. Step 2: cut out feathers from your felt. Any oblong shape with one pointed end will do. 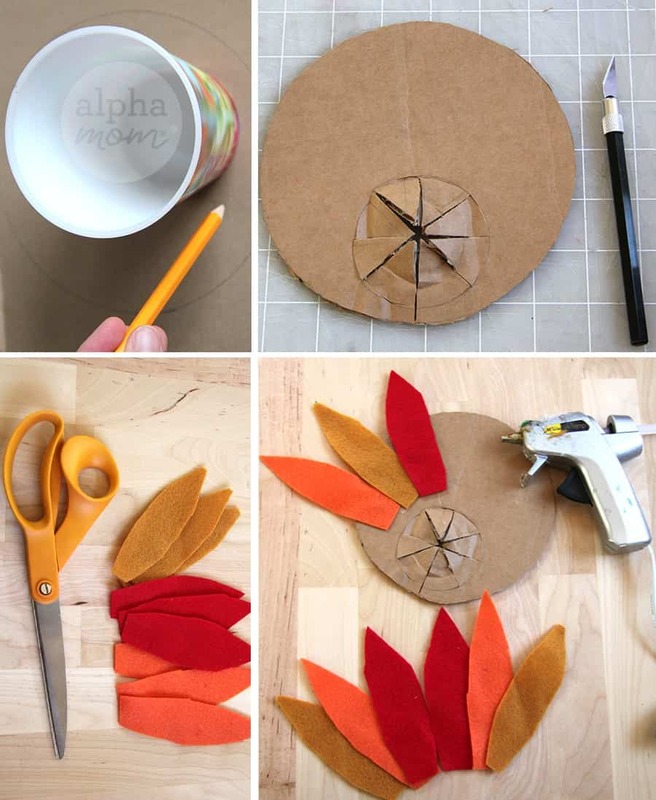 Attach the feathers to the cardboard turkey body cardboard with hot glue (or regular glue if you have more time for drying). You can draw feather veins on the feathers with a permanent marker if you like. Step 3: Now it’s time to make the turkey head on the sock. This part is super easy! Just glue on some eyes, a triangle for the beak and an elongated tear-drop shape for the snood! 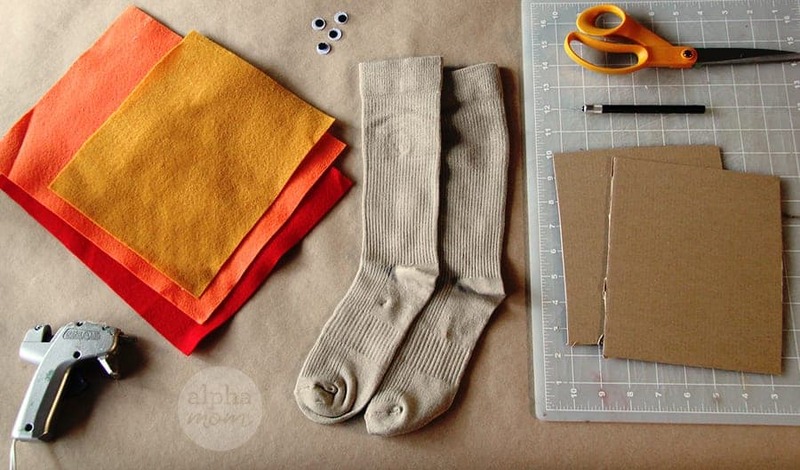 Then slide the child’s hand into the sock, slide the cardboard body over top and you are ready to put on a Thanksgiving Day puppet show! Repeat for as many turkeys as you need.